Today we interviewed for you the very young PastryChef Isabella Potì, as well as sous chef of the Ristorante Bros di Lecce, led by Isabella herself and her partner ,Chef Floriano Pellegrino. A young couple, but already successful. That’s right, because there were several awards received by both. For Isabella, she received an award as Chef Sud Sud and in the Performance Award of the Year for the Espresso Guides, the inclusion on the list of the 20 best pastry chefs for Gambero Rosso, and especially the mention on Forbes, in the 30 under 30 list , the one that rewards the most talented young people in Europe. Isabella was formed at Claude Bosi in London and by Martin Berasategui and Paco Torreblanca, in Spain. In 2015 she returned to Italy to be part of the adventure of the Ristorante Bros. 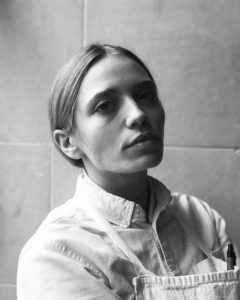 In 2017 she started again for new experiences, passing through the brigades of Mauro Colagreco in her restaurant Mirazur, and of Rasmus Kofoed at Geranium, in Denmark. The cuisine of Bros is based on the culinary tradition of Salento, but with an innovative touch. In their restaurant it is also possible to book the “Impossible Dinners”. During these dinners, Chef Stellati are hosted, sharing their recipes with only 30 guests. Here are the answers to the questions we have asked Isabella Potì. How was your passion for pastry born? My passion for pastry was born in the most banal and simple way possible. Since I was a child, I helped my mother and my grandmother to prepare home-made desserts for the family, I had a lot of fun and often I was left alone to experiment with desserts whose results were not always satisfactory. I grew up continuing to have fun in this way, until the moment when I realized that what was a simple passion I wanted, strongly, to become a real job. What was your professional training path? After attending a simple Istituto Alberghiero in Lecce, I started traveling among the most important stellar kitchens in Europe. A courageous choice that forced me to leave home and family from a very young age in order to experience the world of “great” and great chefs. The half-empty baggage with which I left, slowly began to fill with experience, knowledge and maturity. From that moment on, my training has taken a totally different breath, he has learned very important lessons: from constancy to determination, from attention to detail to extreme cleanliness, from grouping to feeling like a real family. I bring all this with me every day in my kitchen. She is currently the Sous-Chef of the Ristorante Bros. How important is pastry in a restaurant? Pastry in a restaurant is absolutely essential. A restaurant like ours, allows its customers to experience a sensory and taste from the first to the last moment. Desserts can only be the logical, conclusive and explosive consequence of a journey that must necessarily end in the enthusiasm and sweetness of the palate. Her companion , Chef Floriano Pellegrino of the Ristorante Bros in Lecce, where he works. How is it to share professional and work life at the same time? Floriano is my life and my work partner for several years now. We have slowly discovered all the tricks possible to try to distinguish private life from work: we have learned to differentiate roles and responsibilities, we leave out of our kitchen everything that work is not and vice versa. The secret is also to support and stimulate each other every day. The plans for the future are many, as well as ideas and dreams in the drawer. We are very young and for this reason ambitious and optimistic: to achieve all the goals we set ourselves every day, we work tirelessly and do not lose sight of our focus. We take more and more awareness of what we are, but we never stop working on ourselves to improve ourselves: I think this is the right way to realize every wish expressed !!! So you just have to go from the Bros Restaurant in Lecce, to taste the delicacies prepared by Isabella Potì and Floriano Pellegrino. One of the working sectors that still defends itself in Italy is certainly restaurant. In fact, despite the economic crisis, which is still putting our country in serious trouble, many entrepreneurs decide to invest in the catering sector, as the Italian culinary tradition is still very strong and involves many people. It certainly can not be said that an Italian eats to eat as it happens in other countries, in which there is not the same interest and the same passion for cooking and food. Eating out or organizing lunches and dinners in one’s home is always a moment of friendship and intimacy. For this reason, those who decide to start their own business, focus on it without delay, because they have the full knowledge that if they can act in the right way, they can have a lot of satisfaction both from the point of view of turnover and as regards the feedback and the affection of clients. 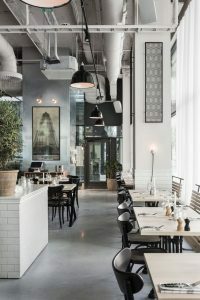 One of the most important things to offer a quality service and to be considered a credible local is surely linked to the furniture and used equipment, which must be chosen carefully and with criteria, as being superficial on this aspect is a serious mistake, that the owner of a restaurant business will pay in the long and medium term. Obviously when we talk about food we do not refer only to a classic restaurant, but also to a pizzeria, a rotisserie, a bar or a pub. 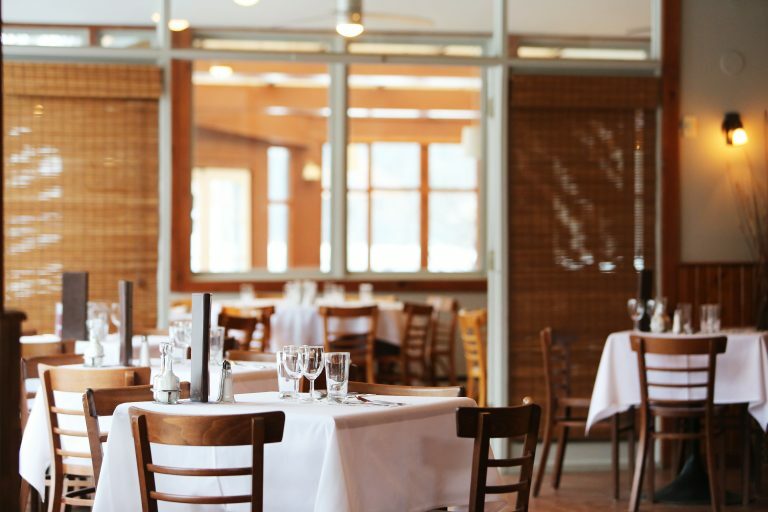 Each restaurant business is different from the others and needs different equipment based on what it will offer its customers. In this article we will try to give a brief overview of the various catering activities and the various equipment used, in order to give a general idea to those who are preparing to undertake a professional adventure in this sector. One of the places most frequented by people to refresh and stay in company is definitely the bar. Unlike what someone may think, this type of room requires the purchase of many equipment to be able to offer a complete service. Obviously you can not disregard the coffee machine, along with the coffee grinder. Two other very fashionable and therefore very important tools are the centrifuge and the blender which are used to make various things such as smoothies, milkshakes and sauces for aperitifs. Then we have the refrigerated display case useful for exposing pastries and brioche and the citrus juicer to make the very popular juices for breakfast and the cold coffee grinder, drinks and cocktails. Finally we have two other tools that are not used by all bars, as it depends on the type of offer you want to offer to customers and for this reason we do not consider them indispensable: it is the cast iron cooking plate, usually used for hamburgers and the induction plate. One of the most important catering activities in Italy is definitely the pizzeria. The reason is very simple: the pizza is born in Italy and is one of the most popular foods in our country, but also abroad is one of the most famous Italian dishes with pasta. The equipment necessary for a pizzeria are many, but we will only list the essential ones, because to name them all would be really difficult. First of all we have the oven which is usually wood-burning and can be of various types, although some for various reasons some owners may decide to use the gas or electric oven, but it is very rare as an option. Then we have the mixer and the fryer, fundamental elements for the quality of the product, and therefore must be chosen with care and attention. Other important tools are: a) Marble worktop; b) Basin; c) Cells and refrigerators; d) Dishwasher; e) bathroom. Obviously in addition to these tools it take care of the furniture and must follow all the rules of hygiene, provided by law, scrupulous and careful. We are talking about the furnishing and equipment needed for a restaurant. . Speaking of furniture can not fail to mention the tables, which must be chosen carefully and according to the type of restaurant that the one has, with maximum attention to the optimization of space, as we said in a previous article. The most cared environment must be the kitchen which, in addition to respect the hygiene rules, must have all the necessary equipment. 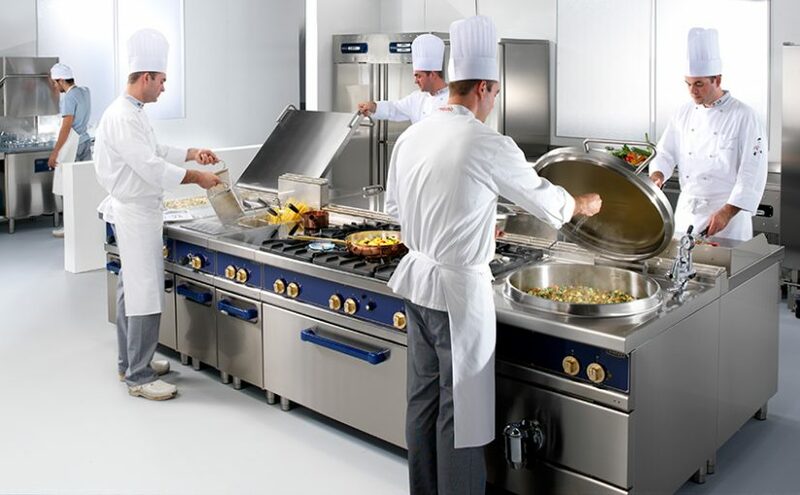 In general, stainless steel is chosen for convenience but it is obviously not mandatory, while the various utensils (crockery, pots and trays) must be made of suitable material. 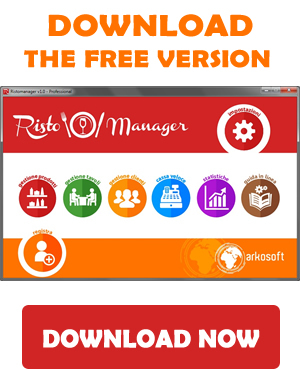 Finally, the cash register is very important for a tax issue, as is a management software for catering, which is very important for the optimization of work processes and from this point of view Ristomanager certainly represents excellence in its sector. From the uncle to the nephew, the kitchen of “San Domenico di Imola” is always a success. Interview with the Chef Valentino Marcattilii. The San Domenico Restaurant was founded in Imola in 1970, by the founder Gianluigi Morini. In 1973 he received the first report on the Red, in 1975 the first Michelin star arrived and in 1977 the second. In the second half of the 80s, San Domenico also opened in New York. The Italian style was welcomed with great consensus even by famous people, Italians and foreigners. In fact, San Domenico NY was the first Italian restaurant to receive three stars from the New York Times in 1988. We have interviewed for you the Executive Chef of San Domenico di Imola Valentino Marcattilii and we will give the answers to our questions below. I was 16, but little desire to go to school. Naturally, my father immediately set me to work. It was not a problem to find work. I worked for a baker for 6 months, but it was too hard work. Then I went to work as a barman for a few months. Finally I started working at San Domenico, where my brother Natale worked as a waiter. I went into the kitchen as a kitchen boy, now they call them Kitchen Commis. I took care of the spinach, potatoes, plucking various birds, in a few words I was Gavetta. It became a job, I liked it, I became passionate. Even today some dishes of my tradition have passed on the menu of San Domenico. She introduced the idea of ​​”home cooking” for the first time. What is meant by this term? The idea of ​​introducing home cooking was by the founder Gian Luigi Morini. Luigi Veronelli, one of his great friends, introduced him to Nino Bergese, a cook of noble private houses. Lastly, he served King Vittorio Emanuele di Savoia and for this reason he was also known as the “cook of the Kings” or “the King of the cooks”. It was my school, my luck metting Nino. What I am owe to him. What was the feeling you felt when you first recognized the Michelin Star? And what feeling for the second? The first Michelin Star came when I was 18-20 years old, I’m not sure. The Michelin guide was well known, but not so much mentioned in the media as in the last few decades. The second Michelin Star arrived a few years later. I was already the age of reason. A great thing, an immense joy. Rivers of sparkling wine in the kitchen to celebrate. I leave it to you to imagine. I have tasted its importance over time. Michelin in 2018 awarded us the “Quality over time” award. 2 Michelin stars for 40 years, and 45 for the presence on the guide. A good record. We certainly do not give up. Now my nephew Massimiliano is at the helm of my kitchen and we are aiming for something more. What is your dream linked to San Domenico di Imola? And what are its future goals? We have made many dreams in almost 50 years, which we will do in 2020. We had San Domenico NY for 5 years, where we used princes, presidents, showbiz personalities, etc … As above we aim at the third Michelin Star. Currently I am answering from the terrace of San Domenico “FORTE VILLAGE IN SARDINIA”, where for two months we serve our kitchen in a location overlooking the Mediterranean sea, under the stars of the Sardinian sky. In September I will be in Australia for 4 evenings of San Domenico cuisine. In October I will be in NY for the Food & Wine Festival, for a charity evening. We are never stuck and we do not live on our laurels. The kitchen evolves, and we want to keep up. 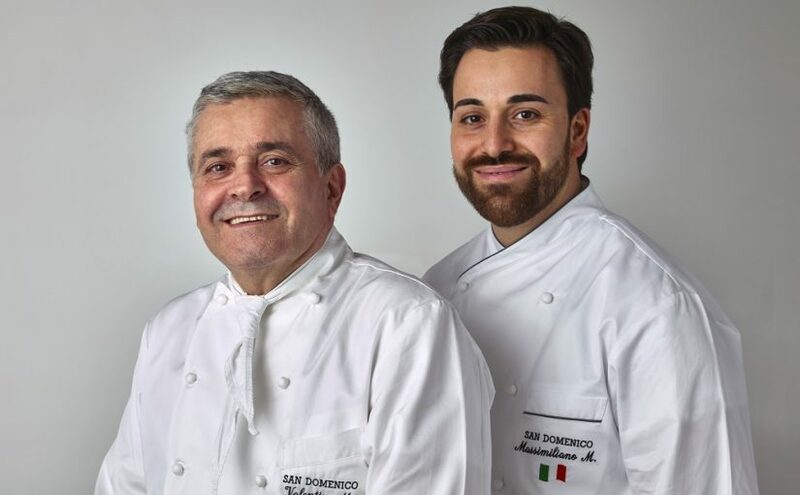 As was mentioned by the Chef in the interview, now at the helm of the San Domenico kitchen there is Chef Massimiliano Mascia, as well as nephew of Valentino Marcattilii. Chef Massimiliano Mascia, has a passion for cooking since, at a very young age, he followed his uncle Valentino Marcattilii behind the stove to grasp the secrets of an art And after a few years, would take him to the Vissani Restaurant kitchens and of the Roman Restaurant of Viareggio and, internationally, in the matches of the Osteria Fiamma in New York and the French Bastide Saint Antoine and at the court of the multi-starred Alain Ducasse at the Plaza Athenée in Paris. Today Massimiliano Mascia successfully represents the new generation of the San Domenico Restaurant, is giving continuity to the gastronomic tradition, preserving the two Michelin Stars, without renouncing the experimentations and innovations, using the best raw materials in respect of seasonality. At the Terrazza San Domenico, Chef Mascia, flanked by the staff coming from the kitchen of Imola, offers Forte Village guests some great classics of San Domenico, such as the Egg in Raviolo San Domenico with Malga butter Parmigiano sweet and truffle Seasonal. The menu is enriched by summer dishes designed to enhance the seasonality of raw materials and proximity to the sea. Finally, there is no lack of fresh pasta, filled pasta, but only the classic Romagna piadina to bring the passion and vitality of Emilia Romagna in Sardinia. Toscana is one of the oldest regions of Italy. It is clear that the dishes of this land are linked to the Etruscans. But what are the main ingredients that make up traditional dishes? We just have to find out together. The bread, deliberately not salty, as it is often used to accompany the various meats that the land offers. This is often toasted and served with various soups in the area. 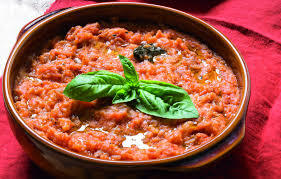 It is also the main ingredient of the famous Pappa al pomodoro, which is nothing more than stale bread left to soak in water, accompanied by tomatoes, garlic, oil and chilli. The fish used in various ways. Among the most important dishes we rediscover the Caciucco alla Livornese, a soup invented by fishermen and prepared with the leftovers of fish caught during the day. 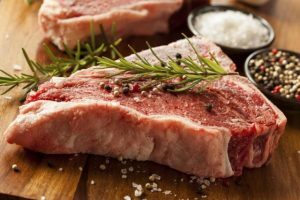 As for meat dishes we can not forget the typical Florentine steak, thick beef steak from Chianti, which is grilled for a few minutes and served almost to the blood. The vegetables are used in the preparation of Ribollita, a soup that was often prepared during the weekend to use all leftovers. Its name derives from the double cooking, as after having brought it to boil for the first time, the soup is stored in the fridge for the whole night and put back to cook the next day. We have discovered together some of the savory dishes of typical Toskana cuisine, but no less are the desserts that are prepared in these parts. Among the most important are the Cantucci di Siena, biscuits with almonds flavored with citrus fruits and served with Vin Santo. 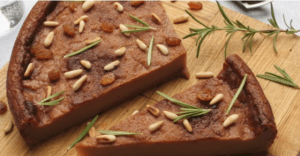 Il Panforte, a spicy sweet from the Christmas period. And finally, but not least, the Castagnaccio, an unleavened cake, prepared with chestnut flour, raisins, walnuts, pine nuts and rosemary. Well, surely you will feel like trying these dishes. For this reason we have selected for you 10 of the best restaurants in the Toskana region you must taste them. Enoteca Pinchiorri, which has earned 3 Michelin stars, was founded by Giorgio Pinchiorri and his wife Annie Feoldé. We find her at the helm of the kitchen together with Chef Riccardo Monco and Sous-Chef Alessandro della Tommasina. It boasts one of the most prestigious wines in the world, selected directly by the master Pinchiorri. The winery has become one of the most visited places in the world. 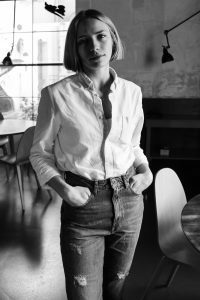 Annie Feoldé, brought the Novelle Cuisine to Florence. The Bracali Restaurant, runed by the Bracali brothers, sees Francesco as a guide. A kitchen based on simplicity. His brother Luca, instead, takes care of the wine cellar and the hospitality, trying to put the guest at the center of everything. For these reasons they have earned 2 Michelin Stars. 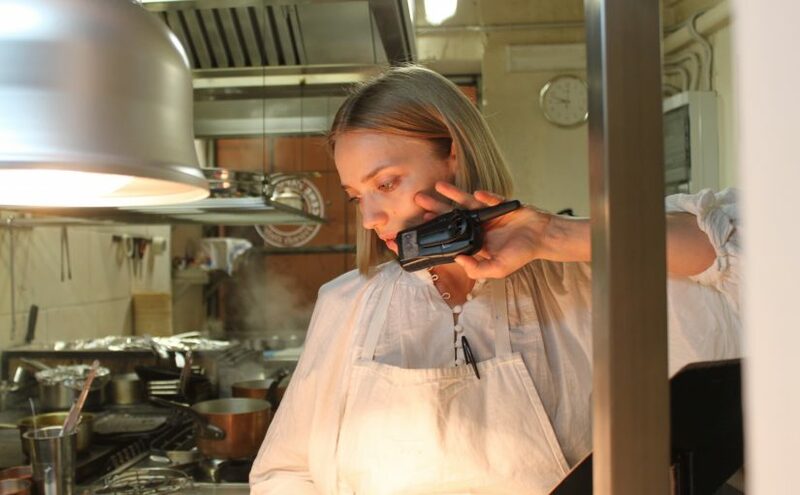 The Ristorante Caino di Montemerano, led by Chef Valeria Piccinni, provides a cuisine based on the quality of the product. We therefore resort to the fruits given by the garden. The cellar goes down for several meters under the village square, creating rooms where about 20 thousand bottles rest. The Piccolo Principe of Viareggio, located in the Grand Hotel Principe di Piemonte, gives rise to a refined and traditional cuisine. The Michelin-starred Chef Giuseppe Mancino loves innovative cuisine, but at the same time tries to keep the taste of the product . The restaurant’s cellar has 800 labels, mostly from Toskana. Arnolfo Ristorante, whose owner is Chef Gaetano Trovato. His dishes are focused on tradition and products from Toskana , as well as attention to simplicity and seasonal flavors. His experimentation in the kitchen led him to earn 2 Michelin Stars. Il Falconiere, restaurant obtained from an ancient lemon house. Place where the quality of the ingredients prevails, respect for seasonality and the use of products . The kitchen is signed by Chef Silvia Regi Baracchi, who has been awarded a Michelin Star. The Ora d’Aria Restaurant, in Florence, with the guide of the kitchen Chef Marco Stabile, takes its name from its proximity to the old prison of the place. In 2011 he was awarded the first Michelin Star. The kitchen boasts quality and transparency. 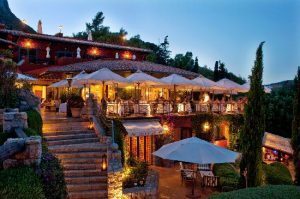 Il Pellicano, whose cuisine is led by the Michelin-starred Chef Michelino Gioia. His dishes are made with fresh fish, lamb, chianina meat and aromatic herbs. In the menu there are always pigeons, oysters, mullet, lobster and scampi. At the end of each dinner, a trolley with homemade chocolates is offered to all guests. The Silene by Roberto Rossi, located in a medieval village where was the inn of the post office. The simplicity of the raw materials and the strong rooting of the territory are two fundamental ingredients in the kitchen of Silene, where Roberto has been able to rediscover a deep and visceral link with the environment and its products, developing a great respect for raw materials and their processing and cooking techniques. The Meo Modo by Andrea Mattei, embodies the philosophy ‘from earth to plate’, which combines the deep knowledge of its Toskana culinary heritage with seasonal products. The roots of the typical Piedmontese cuisine date back to the rural tradition. It is a cuisine rich in dishes with a strong and decisive taste. Piemonte is rich in DOP and IGP products. 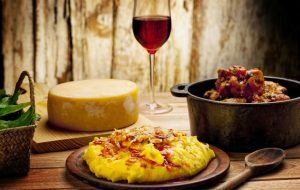 The regional recipes are made unique by some ingredients such as truffles, Barbera or Barolo and cheeses. The truffle can be of two qualities: the black one, more common, and the white one, more expensive and rare. Alba is the area with a high production for harvesting. Among the most important recipes we find the “Filetto alla Rossini”, enriched by the presence of Foie Gras. Barolo is used in the preparation of “Brasato”, a stew of Fassone meat cooked for a long time in wine. Milk production is very old. Dairy art is very widespread in Piemont. There are more than thirty types of Piemonte’s cheeses, including 9 with the DOP mark. One of the most famous cheeses produced in this region is the Gorgonzola. Of fundamental importance, in this territory, is chocolate, closely linked to the city of Turin. 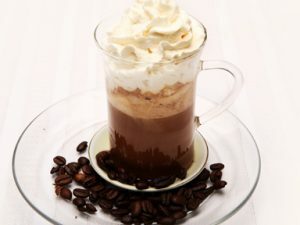 It is in this city that Bicerin is born, a hot drink based on coffee, cocoa and cream. Mixing cocoa, vanilla, water and sugar gives rise to chocolates. The Gianduiotto was the first chocolate to be wrapped. Born in 1865, when Michele Pochet joined the hazelnut cocoa. The pride of the region is the pastry shop, from which the Amaretti are made with almonds, the Marron Glacè, the Baci di Dama and the Bonet, a spoon dessert prepared with amaretti, cocoa, eggs, milk, flavored with rum and covered with caramel . The “Ristorante Piazza Duomo” in Alba, led by the Ceretto family and the Chef Enrico Crippa, boasts 3 Michelin Stars. Along with the menu that varies according to the seasons, the wine proposal also varies. The restaurant has a vegetable garden that includes a cultivation greenhouse and a plot where the Chef goes daily to select and collect vegetables, herbs and flowers. 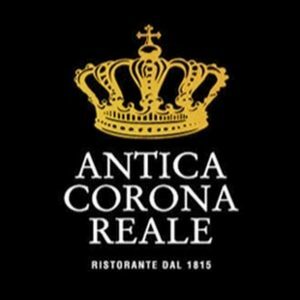 The Antica Corona Reale, located in Cervere, in the province of Cuneo dates back to 1855 and today has won 2 Michelin stars. The goal of Gian Piero Vivalda is the search for the rightness not only culinary. The raw material comes first of all. The Villa Crespi Restaurant with Chef Antonino Canavacciuolo at the head of the kitchen. Use refined products, the fusion between present and past of Mediterranean cuisine. 2 Michelin Stars have been recognized. A journey with attention to detail, with moderate creativity, always balanced even in the most daring combinations. At Sorriso, in the province of Novara, the cuisine of Luisa Valazza meets the gastronomic traditions of the area, covering dishes prepared with the heart. Care and respect for raw materials, to propose recipes with magical multi-sensorial sensations. At the Piccolo Lago, a few steps from Verbania, Marco Sacco is the protagonist of his kitchen. The proposed gastronomic journey passes from outside the east, goes around the world and then returns to the shores of Lake Mergozzo. 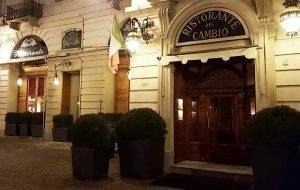 Del Cambio Restaurant, located in Turin since 1757. Equilibrium, intuition, esthetical reflection and talent in the execution of Matteo Baronetto for a kitchen that has architectural aesthetics in favor of an experience that involves all five senses at the same time. Disruptive, always experimental, especially educated; spokesperson of the raw material as the keystone of every composition. The Dolce Stil Novo At the Reggia, for years at the top of the gastronomic guides and marked with a star by the prestigious Michelin guide. His chef-chef Alfredo Russo, the undisputed talent of haute cuisine in Italy and abroad, will direct it and take care of its cuisine. An innovative and personal philosophy, but with deep roots in Italian tradition. The “Larossa” Restaurant, name deriving from the surname of the Chef Andrea Larossa, leading the kitchen. He won a Michelin Star. It is located in Alba and offers traditional Piedmontese dishes with modern reinterpretation. 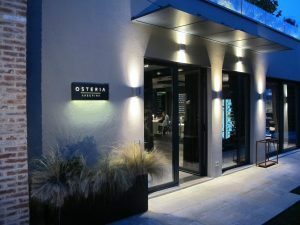 Osteria Arborina offers an à la carte menu and two tasting menus, named respectively “Il Confortevole o della Tradizione” and “L’Ostico o dell’Innovazione”. You can taste the dishes that have made known the chef Andrea Ribaldone as the Agnolotti di Fassona and Spaghetti Milano, a spaghettone cooked in water, with little salt, and creamed with a Milanese risotto previously cooked and deliberately overcooked. The Locanda del Pilone with Chef Federico Gallo at the helm of the kitchen. His dishes interpret the products of the Langhe, in the proposed menus blend the equilibrium and freshness of the Mediterranean tradition, rich in colors, aromas and flavors, and the Piedmontese one. Special attention is paid to local products and quality raw materials personally selected by the chef and his kitchen brigade. 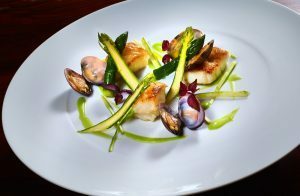 Vivid and stimulating dishes are presented, always in harmony with the seasons. Room service is impeccable; the wine list is made up of over one thousand two hundred labels. The most used equipment in catering activities. The technology behind the food. Catering equipment. Catering is not just about food, ingredients and human hands that knead them. In the restaurants, in the bars, in the ice-cream parlors and in the catering activities of any kind another factor comes into play: the machines. Think of equipment like chips in fast food fryers, refrigerators to store fish in stock, etc. Well, today Ristomanager will make you explore the most used equipment in the restaurant. It will take you behind the scenes of the dish you enjoy at the table. It will reveal the technology behind the food. Even those who have never been in a restaurant’s kitchen know that it’s not like their own home. 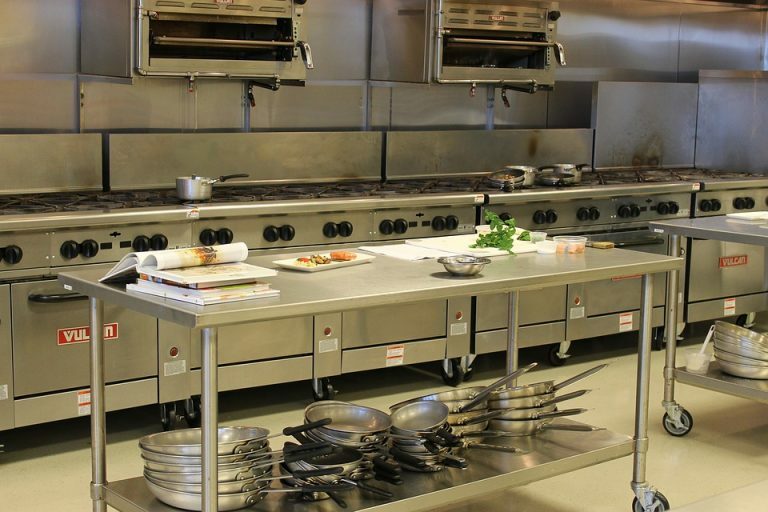 As shown in the photos, every dish in a restaurant is prepared on the hobs of these stainless steel kitchens. Kitchens that, depending on the size of the room, can be one or more. In addition to cooking, professional kitchens are dedicated to washing dishes and ingredients. They, of course, not unlike our home kitchens, also have shelves to store pans, colanders and crockery of all kinds. However, there is no danger that a blast chiller can affect the organoleptic properties of the product. The air jets of the internal chambers prevent the formation of ice crystals in the genera stored therein. The sales counters are those where the groceries are on display, ready to be chosen and purchased by the customers. The counters can be in wood or steel (or in both materials), but they always have the inevitable windows from which to choose the takeaway pizza or the tastes of their ice cream cone. In the case of the sales counter of an ice cream parlor are also included the inevitable metal containers to expose tastes for sale. There are counters of various sizes and compositions based on the size and the internal map of the room. plunging arms, in which a spatula and a fork that, each connected to a disk, rotate one at the same speed but opposite the other working the dough. With this type of kneading machine you can obtain voluminous mixes (like the one for panettone), but in longer times. The dough also allows the pizza dough to rise in a more oxygenated way thanks to the movements from bottom to top. spiral, which unlike the two previous types (plunging and fork) ensures faster dough and with great release of heat (18 ° C). As the name implies, the spiral mixer has inside a spiral perpendicular to the dough plane. This spiral is suitable for mixtures of all types, but it is perfect to streamline the times of those that require long processing. As the fork mixer has a mixture with two speeds: one for the initial mixture of the ingredients and the other for the actual mixture, the final one. 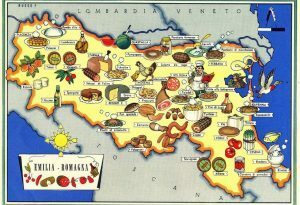 Emilia Romagna, a region known for its kilometer beaches crowded with tourists, but also important for its local cuisine, at the forefront of national gastronomy for the variety and goodness of tasty and generously seasoned dishes. The strong point of the local cuisine is egg pasta. We find the tagliatelle, often seasoned with Bolognese meat and tomato sauce, baked lasagna, and among the most important are the tortellini, traditionally served in meat broth or with cream. There are also tortelloni stuffed with sausage products such as mortadella or prosciutto, together with eggs, Parmigiano Reggiano and nutmeg or with ricotta and spinach. Among the main courses we rediscover the “Bolognese cutlet”, the “Falda Vicentina”, prepared with horse meat and the “stewed beef”, flavored with spices, prepared with horse meat and donkey. Along the Po, however, the consumption is very widespread, with which the soup is prepared: typical dish of Comacchio, where eels are cooked with onion, celery, carrot, tomatoes, grated lemon rind and vinegar. No oil is added because the fish, in cooking, releases its fat. Emilia Romagna is one of the largest producers of cured meats. Among the best known are the “mortadella dii Bologna”, the “mortadella di Modena”, the “culatello”, the “shoulder of San Secondo”, the “zamponi” and the “cotechini” of Modena. Defined as the “King of Cheeses”, Parmigiano Reggiano is known throughout the world and used in the dishes of various Italian regions, as well as that of Emilia. In the province of Vicenza are produced the Grana Padano and the Provolone Val Padana. Less famous are: the squacquerone, cream cheese often used in the Piadina seasoning, casatella and caciotta di Castel San Pietro Terme. 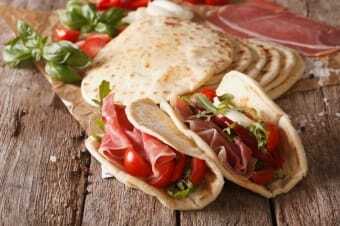 The Romagna Piadina is a must, a primordial food that dates back to the Italic populations, prepared with wheat flour, lard and olive oil, yeast, salt and water, cooked on a terracotta dish, called “Teglia”, but today more commonly prepared metal plates or refractory stone slabs. It can be eaten as a substitute for bread. Very often it is folded in two and stuffed in various ways, both sweet and salty. The Balsamic Vinegar of Modena, registered as a DOP brand since 2000, is a traditional condiment of Emilian cuisine, produced with cooked grape have been fermented, acetified and then aged for at least twelve years. Among the desserts, rich in almonds, honey and spices, the most important are: the Certosino, the Bologna rice cake, the Barozzi cake, the frappe, the castagnole, the donuts and the Reggiano biscione. Ferrarese bread is very well known, with a characteristic shape formed by two strands of twisted dough. With chestnut flour, on the other hand, the “mistochine” are prepared both in the sweet version with raisins and as an accompaniment base. 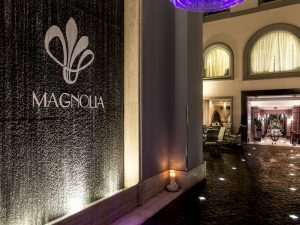 The “Magnolia” of Cesenatico with two Michelin stars, led by Alberto Faccani. A place where tradition meets creativity and cuisine meets art. The “San Domenico” of Imola, founded in 1970 by Matre Morini and the Director Marcatilli. With Chef Valentino Marcatilli, today he is famous for the “65 ° Egg in ravioli San Domenico”, prepared with malga butter, sweet Parmigiano and white truffle. The “Marconi” restaurant, led by the Mazzucchelli brothers, aims to satisfy those who want to taste and its excellence. The kitchen is simple, made of what the courtyard, the vegetable garden, the henhouse, the fields and the woods offer. The “Zanzara” of Ferrara, a place where you can taste fish and game, with a lot of attention to raw materials and cooking techniques. The “Capanna di Eraclio”, located between the mists of the lower Ferrarese area, near the sea. Historical place grown around the Sorcini family’s passion. 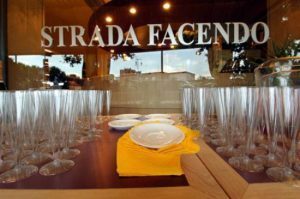 The restaurant “Strada Facendo” in Modena has Chef Emilio Barbieri, who tries to convey the aromas and aromas of his adolescence in a modern way. The “Erba del Re” of Modena, with menus created by the Chef Luca Marchini, who experiences a vision of personal and profound cuisine. In Parma we find the “Parizzi” Restaurant with a history of 70 years, led by Chef Marco Parizzi, has a Michelin star since 1980. 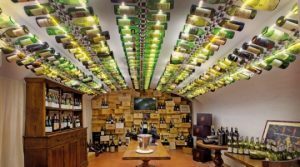 The “Antica Corte Pallavicina”, located in a large historic Parma farm, with a dairy and wine and salami cellars dating back to the 14th century. At the “Gastronomic Clinic”, the cuisine is linked to the Emilian tradition. Rich with carts that celebrate the triumph of appetizers divided between meats and vegetables. Wide range of homemade pasta and a wide selection of meats for main courses. You just have to take a trip to this wonderful land to discover and taste all its excellent flavors. Intense and delicate flavours are the bases of cuisine of Veneto, they find their roots in the history of the region and in their geographical characteristics. 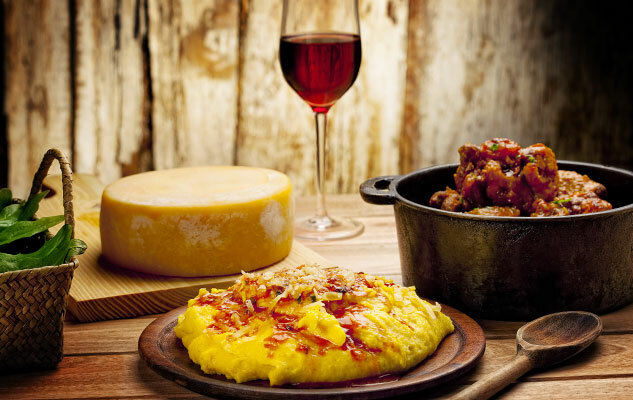 The main food that characterize traditional Veneto’s dishes are rice, polenta, and baccalà. The rice comes from the Arabic regions with whom Venetian Republic had some commercial routes. In 1500 people started growing “Vialone” rice in the Verona plain, now it’s a protected designation of origin product (IGP) with a characteristic taste which came out from the alkaline field where it is grown. Among rice dishes we find “Risi e Bisi” and “Risi e Fegadini”. 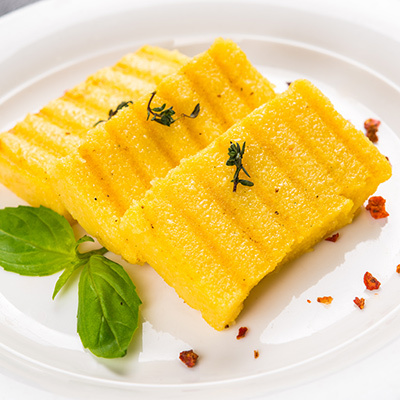 Polenta is, over all, the most representative dish of Veneto, it’s the symbol of its people’s traditions. His colour is yellow because it is made of mais farina that reach this region thanks to commercial trades. There is another type of polenta, it’s colour is white, it is typical of regions such as Polesine and the area between Padova and Venezia. The “Tajer di Legno”, it’s a traditional cutting board where people use to chill the polenta because it absorb humidity and retain heat. Baccala comes from the northern Italian seas. The “Baccalà alla Vicentina” can be cooked in different ways, you can use milk or potatoes, but the only thing that can’t be changed is cooking time of almost 2 hours. Another product that comes from Veneto’s cuisine is radicchio: the typical violet vegetable that a lot of people appreciates for its slightly bitter flavour that comes from Treviso. This product is a protected designation of origin one too. The only type of pasta that is surely a part of Veneto’s traditions is “Bigoli”, thick spaghetti made with the help of a manually operated press. We shouldn’t forget about traditional dishes such as “sarde in soar”, fried fish seasoned with raisin, vinegar, pine nut and roasted onions; or “oca in onto”, meat marinated in garlic, oil, rosemary, salt and pepper. As regards desserts, we have to mention “Zaletti alla Veneziana”, whose name recalls the colour of the farina used to make the dish or the shape of the chicken created with the pasta. Another well known dessert are “Golosessi” skewers, prepared with dry figs, walnuts and apricots coated with caramelized sugar pierced one by one in little wood sticks. 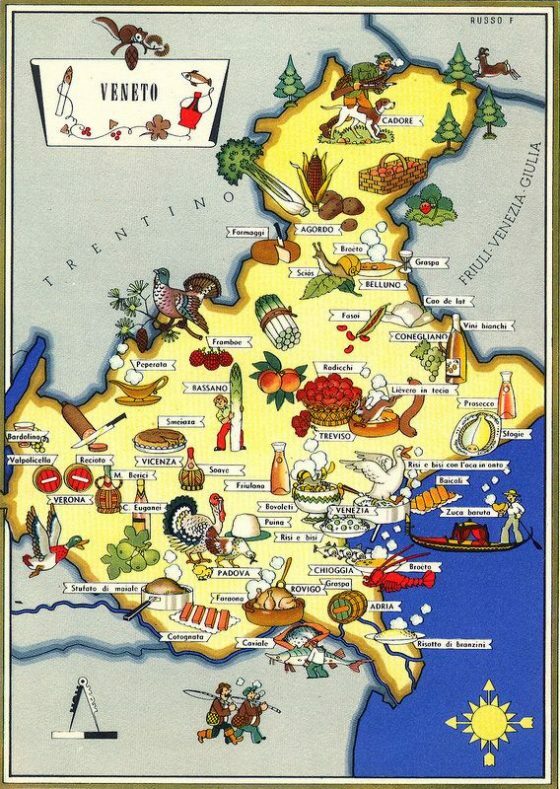 Cuisine of Veneto can be tasted only in Veneto, where is granted genuineness and uniqueness. Among the different products of this region, one of the most important, is wine. The most valuable are “Amarone”, “Bardolino”, “Valpicella”and “Soave”. Veneto not only has excellent wines but also delicious and precious “spumanti” such as “Prosecco di Valdobbiadene”, and in particular the “Cartizze”. Last but not least, important is the production of “grappe”, grapes distillate made following the old recipes, that reached high quality standards and that are sold all over the world. Talking about places where you can taste different traditional food, we suggest you 10 restaurants that we consider among the best in the region. 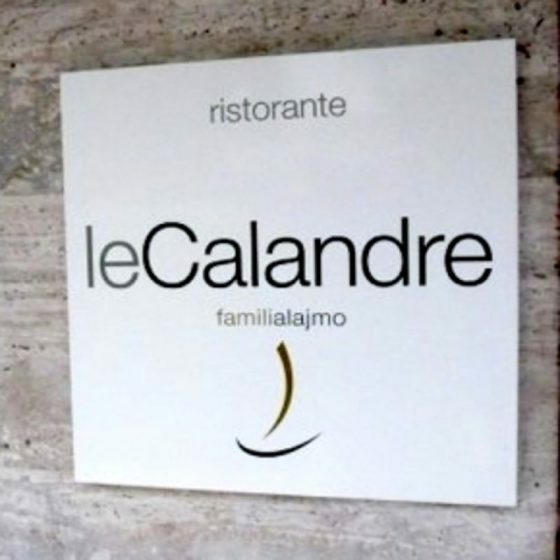 Le “Calandre” located in Rubano, believes in Ajamo’s brothers, respectively chef and sommelier. The last one manages with skills the wine cellar that is always resupplied with the best Italian and French wines. The “Desco”, located in the heart of Verona in an ancient building. It was founded and it is managed by Elia Rizzo and his family. The “Peca”, located in Vicenza, whose name means in Vicenza dialect: foot-print. It is managed by Portinari’s brothers, their menu goes from handmade pasta, to fish and meat. The “Perbellini” restaurant has a refined cuisine, where flavours and high quality raw materials are for the chef like colours for an artist. The precious wines of Perbellini’s Family completely accomplish the dishes. 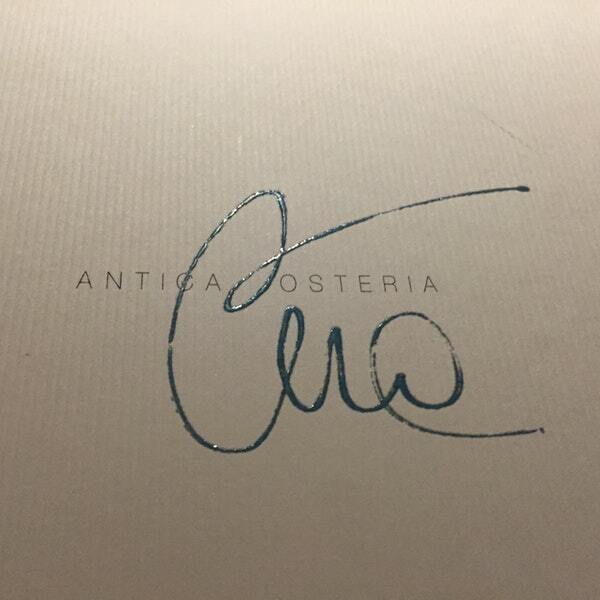 The “ Antica Osteria Cera” located in Lughetto, possesses two michelin stars. In this restaurant those who loves straight fish will find the gratification which came out from the traditional recipes based on the high quality of the food. 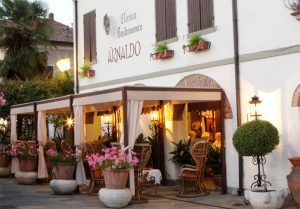 The “Locanda San Lorenzo” is located in Belluno province, it was founded at the beginning of 900’ by Osvaldo dal Farra. It is managed by chef Renzo and his young and talented crew with whom the restaurant received a Michelin star. In the wine cellar there are around 800 of the best labeled wines that comes from all over the world. 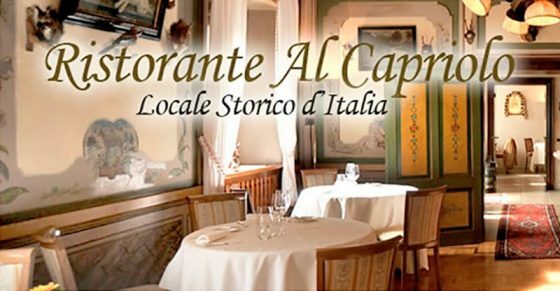 The “Al Capriolo” restaurant possesses one Michelin star. Here you can find first quality products, finesse in the preparation of various recipes , stand out flavours and consistency in dishes. The “Aga” restaurant is located in San Vito di Cadore where you can find art, avant-garde, and originality. Few tables in the building means that the customers will be delight with sophisticated dishes. The “Feva” restaurant, boasts a cuisine that respect the area and that is influenced by seasons. It revaluate poor foods and traditional recipes. Here you can find the mastery of wine world as well as the art and the elegance is waiting on the tables. 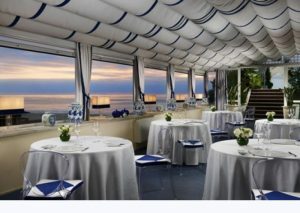 The “ Ridotto Restaurant” is a small gourmet restaurant with only 9 tables. It was born in 2006 thanks to the passion of chef Gianni Bonaccorsi. The cuisine that they offers is grounded to earth and sea products. The dishes in the menu change according to the season. The only thing to do right now is to choose where to go according your taste . We are sure that no one of this restaurant will disappoint you.